We have prepared a new booklet filled with fresh works for sale by many of the artists the Selman gallery represents as well as a selection of antiques by the classic makers we admire. If you have signed up with our website or purchased anything from us in the last year you will be receiving this full-color booklet soon. 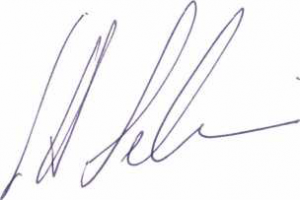 If you are uncertain about when you last signed up or purchased something from us, please give us a call (800-538-0766) or send an email to Paul Berlanga (paul@paperweight.com). There are several pieces featured in the booklet that are not on the website at this time, so this attractive little publication is really worth examining if you are looking for something special. We look forward to hearing from you and as always, we are ready to assist you with your collecting! We hope you enjoy seeing glass paperweights in print when this edition arrives! 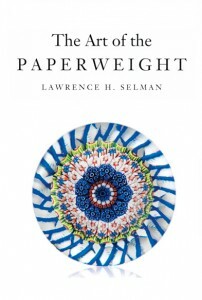 Welcome to “The Art of The Paperweight” by Lawrence H. Selman. We are starting to make important books like this one available, as a free online service to the paperweight community, and for all the newcomers who we hope will begin to share our passion for fine glass art paperweights. Look for more paperweight eBooks in the coming months. Here is a brief excerpt, please read and share as you see fit. “It is not known exactly why French glass factories pursued the making of paperweights with such intensity and vigor during a short twenty-year period in the mid-1800s. Perhaps the factories saw paperweights as a means of showing off their glassmaking skills or as a way of luring prospective customers from other glass houses. Perhaps these objects, which contain intricate millefiori designs and carefully constructed lampwork flowers and fruit, were a way glass craftsmen could exercise their creative and technical skills and experiment on a small scale. Whatever the reasons may have been behind the making of paperweights, we are gifted with a unique body of work, created over a relatively short period of time, which nonetheless expresses a creative and technical peak in glassmaking history. © 1988 by Paperweight Press. Santa Cruz, California. All rights reserved.